One of the most important factors needed to become a life coach is accessibility. You need to be able to connect with your audience and vice versa. The best way to do that is to have a website that has all your information and content on it. Your clients can easily get in touch with you and see what new content you have in store for them. 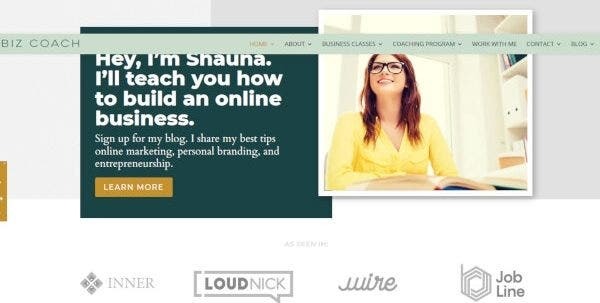 Life Coach is the first WordPress theme for Coaches that’s on the list. If you’ve been wanting a regal and cool look for your website, Life Coach can help you with its beautiful design. It uses images as part of the background. It also has amazing technical features such as 18 custom shortcodes, WooCommerce store, podcast and video support, and social icons. 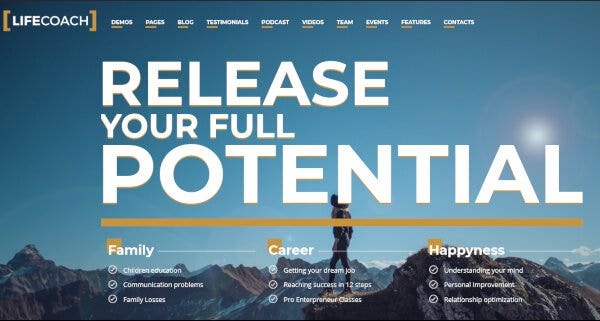 Speaker is a WordPress theme for any motivational speaker or life coach websites. Speaker’s design is professional and puts a lot of emphasis on your content rather than on colors and certain other visuals. Speaker’s features include one-click installation, Elementor Page Builder, Cherry plugins, and mobile optimization. Hearten isn’t just your typical business coach WordPress theme. One of the specialties of this theme is that it has been specially designed for women life coaches. Along with its elegant design, Hearten has some amazing technical features such as WooCommerce integration, video integration, 5 custom widgets, and SEO optimization. 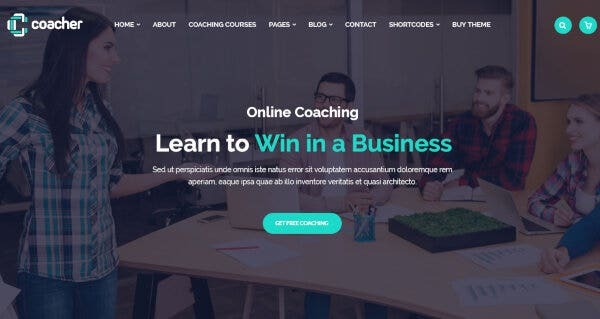 Coaching WP is a modern WordPress theme that has a great combination of aesthetics and technical features. It offers your visitors a beautiful combination of pictures and videos along with various interactive features. Some of the tops features Coaching WP has are one-click installation, LearnPress plugin, WooCommerce WordPress theme support , and parallax. 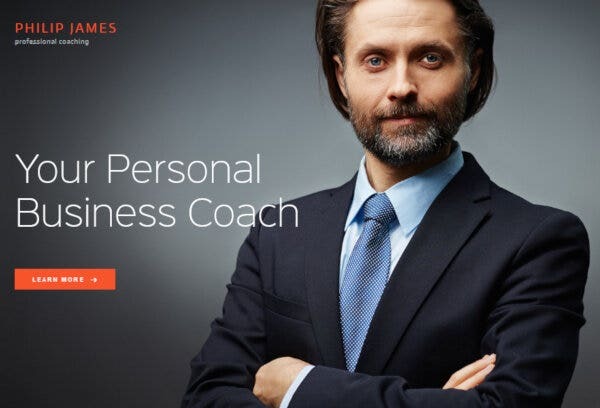 If you are looking for the easiest website to build, try out this WordPress theme for business consulting called Biz Coach. 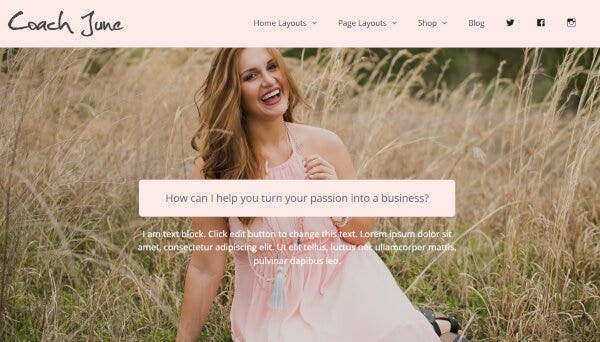 Biz Coach is supported by Divi Website Builder, a prime website building application that is very simple for beginners to use to create their sites. Biz Coach’s features include multiple navigation options, Instagram feed integration, custom footer, and WooCommerce integration. Do you want a creative and bright WordPress theme? Eistruttore is one such theme to look out for. Aside from its beautiful image backgrounds and its responsive WordPress theme design, Eistruttore has a lot of technical features to look out for. The exciting features this theme has to offer include WPBakery Page Builder, Revolution Slider, multiple shortcodes, and typography options. Another WordPress theme that has been crafted especially for women life coaches is Coach June. It has a beautiful and colorful design that is also slightly minimalistic. 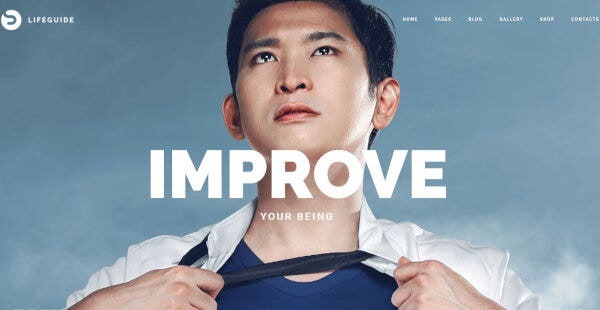 Aside from the design, Coach June also has a wide range of technical features, some of which include free social graphics toolkit, demo content, live chat support, and child and mobile friendly WordPress theme. 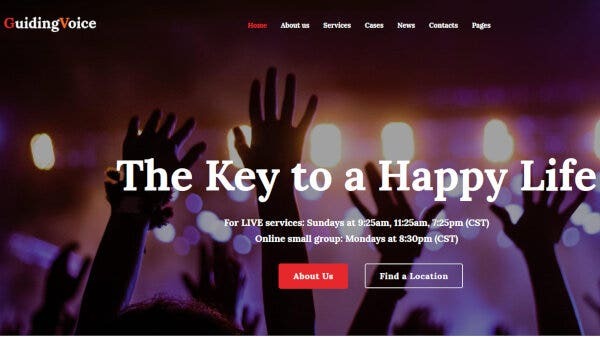 Lifeband is a WordPress theme that was designed for life coach and motivational speaker websites. Its design is professional and smart, making it ideal for life and fitness WordPress theme you to use for your website. Lifeband has some awesome features like multiple header layouts, predefined pages and sections, Bootstrap 3.x, and CSS3 animations. 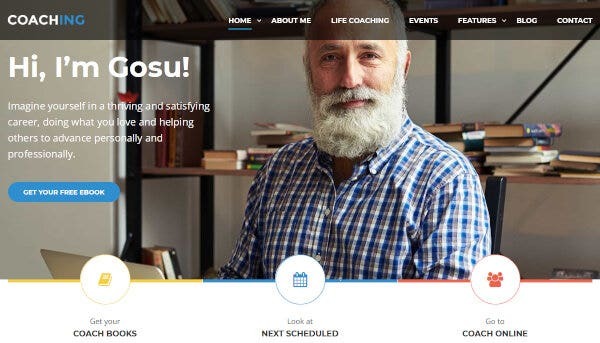 A premium WordPress theme to use for your life coach website is Booster. Booster comes with a beautifully structured black, white, and red color combination along with a variety of technical features. Some of its best features include unlimited sidebars, HTML5 and CSS3 coding, Favicon upload, and Yoast SEO plugin makes it as SEO optimized WordPress theme. 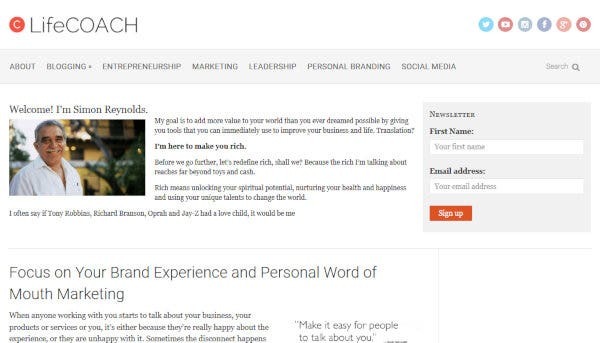 An elegant WordPress theme to use for your health and fitness WordPress theme would be Coacher. Coacher has a sleek and colorful design along with an appealing array of technical features that would makes every visitor give you a thumbs up for service. A few of those features include PHP-Ajax Contact Form, eye-catching CSS animations, multiple header variants, and 600+ Google Fonts. 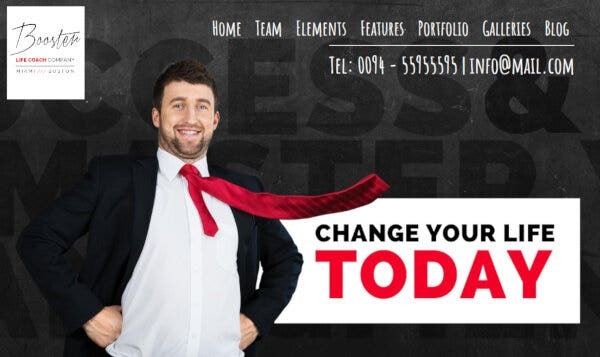 LifeCoach is one of the simplest designed themes for life, business, financial coaching. With an all-white design that resembles a blog structure, this theme puts a lot of emphasis on the content of your website. Some of its noteworthy features include Visual Customizer, OpenGraph integration, valid HTML5 markup, and Google Authorship. 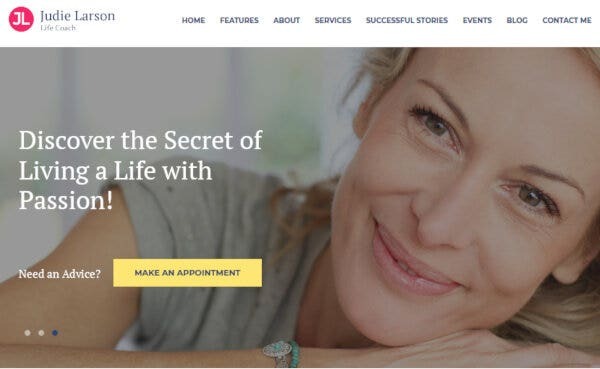 One WordPress theme which definitely needs to be considered for your multipurpose WordPress website would be LifeGuide. Aside from its bright, fresh design, LifeGuide also has a huge amount of features that make it very responsive and smart. Unyson framework, WooCommerce support, unlimited colors, and free fonts and icons are just some of the features it has. 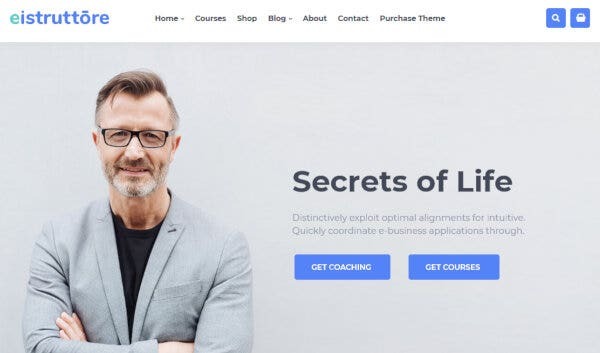 As the name suggests, this new WordPress theme is perfect for any budding life coach or psychologist who wishes to start their own website. The design is colorful yet classy and it has a high-performance UX for visitors. A few of its amazing features include Visual Composer, Media Content Manager, WPML support, and WooCommerce support. 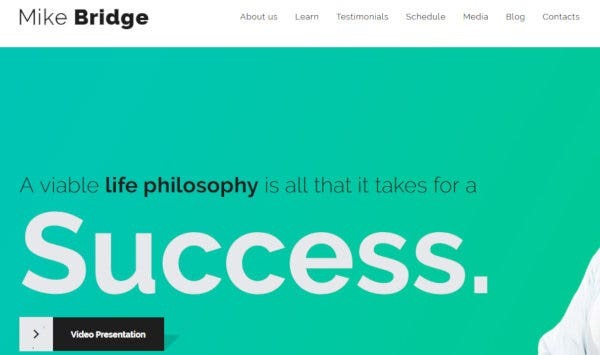 Mike Bridge is a bright and powerful WordPress theme that would be extremely useful for your life coach website. This theme’s design is creative and modern and your visitors would find it extremely easy to use thanks to its numerous technical features. Some of those features include drag-and-drop WordPress page builder, multiple layout options, Google Fonts integration, and SEO optimization. PJ is a WordPress theme that is perfect for those of you who want a website with a sleek and modern look. Its design is highly responsive thanks to the many features it hosts and the color combinations used to add more to its appeal. PJ’s features include Fontella icon set, boxed and wide page layouts, CSS3/jQuery animation effects, and Revolution Slider. 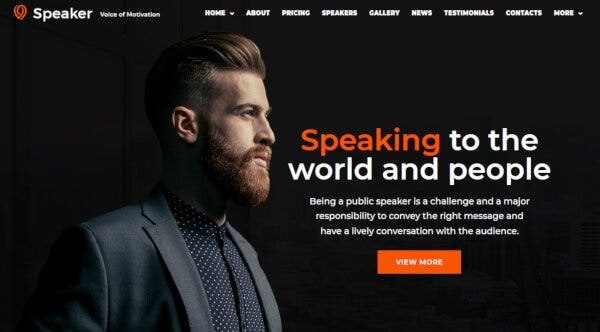 With a minimalism-inspired look and a highly interactive user interface, Guiding Voice is an excellent option to use as your website’s theme. Guiding Voice uses a combination of colors and images to bring its design to life along with a garrison of technical features. Elementor Page Builder, Cherry plugins, JetElements, and multiple layout options. 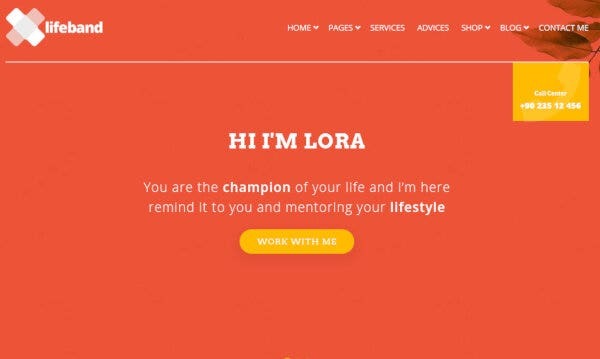 These are some of the best life coach and motivational speaker WordPress themes out there. Take a look at these and see which one you’d like to use for your website today!